I've read about it, seen millions of pictures of it, heard about it from tons of different people, and I finally visited it during my last trip to Singapore. 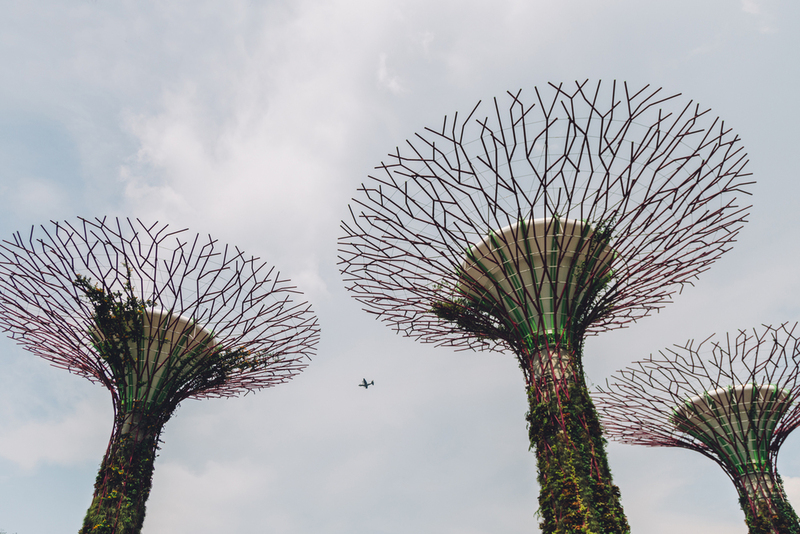 The place that looks like it came straight out of the Avatar movie, the Supertree Grove at the Gardens by the Bay in Singapore. I know, I know, I'm probably a little late checking this place out since it has been opened for almost 4 years now. But hey, better late than never right? I have to say the place is super awesome! Seeing and being under those huge tree-like structures made me feel like an ant. For real. Or at least that's what I imaged how ants view us humans (only multiplied that by a hundred or something). I definitely did a lot of neck exercising & look ups when I explored this place. 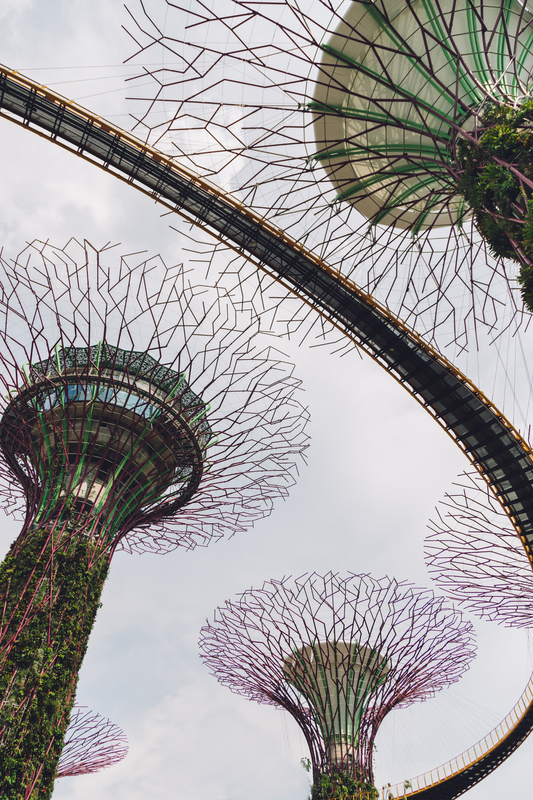 There is also an elevated walkway between two larger supertrees that you can walk on if you decide to check out the aerial view of the garden. 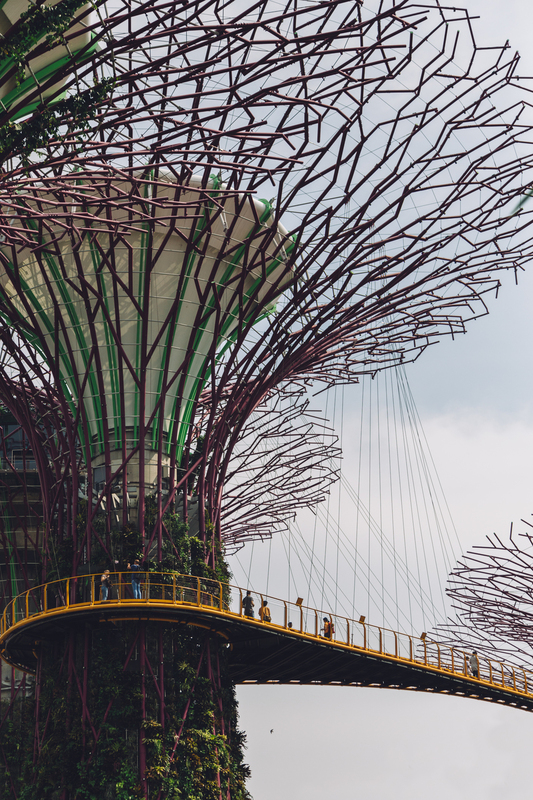 If you've never been here, I definitely recommend you to come check out the place (plus they have a couple of attractions in the Gardens by the Bay, which I will be posting on separate posts). Totally worth the visit. A little tip: you might wanna go on a good weather day, or no rain day at least, because the walkway is closed during a bad weather days. 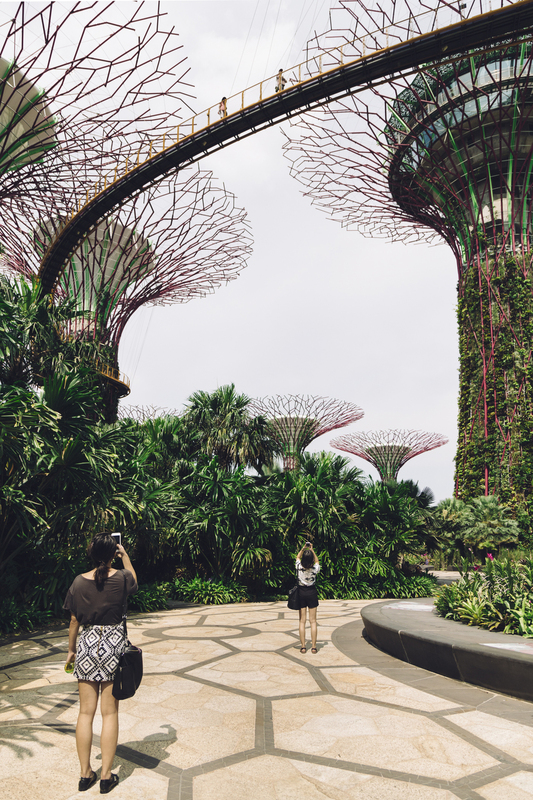 Special thanks to Venus & Jessica, two great local instagrammers who were kind enough to offered to take me around the Gardens for a little meet-up/photowalk session. 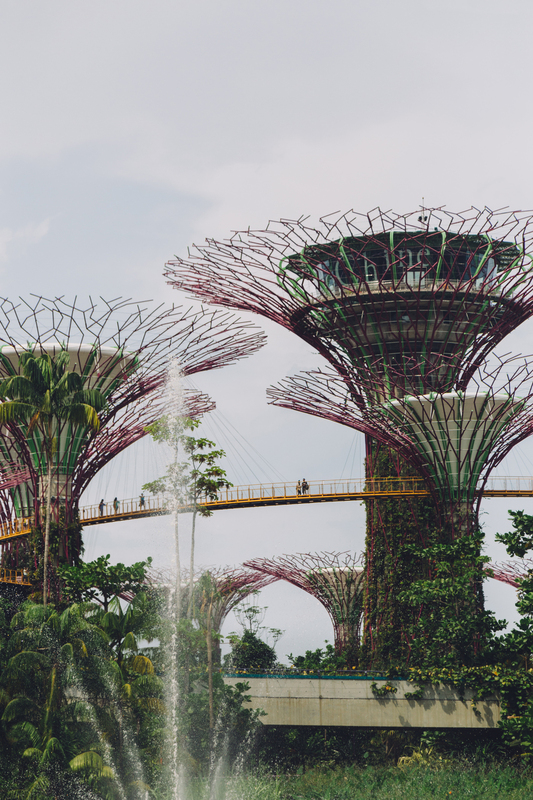 You'll see them sporadically in a couple of my shots in this Singapore series ;) Go check out their amazing instagram gallery! Venus (@ohvl) & Jessica (@chanchants).